It’s New Year’s Eve and as I do each year, I’ve been spending time on the radio tuning around the bands–crossing borders and time/date zones at will. Most broadcasters spend this day going over events of the year, playing music and looking back. Some even have an in-house on-air party of sorts when they slip into the new year. It’s always fun. I remember very fondly the full day I spent at the radio as we entered the year 2000. I wrote a post about this and published a recording several years ago. I decided it was time to pull that post from the archives and put it on the front page once again. I hope you enjoy it. Since this post was first published, Radio Australia has gone off the air of course, so I find recordings like this even more meaningful. Here’s wishing you and yours an amazing New Year! 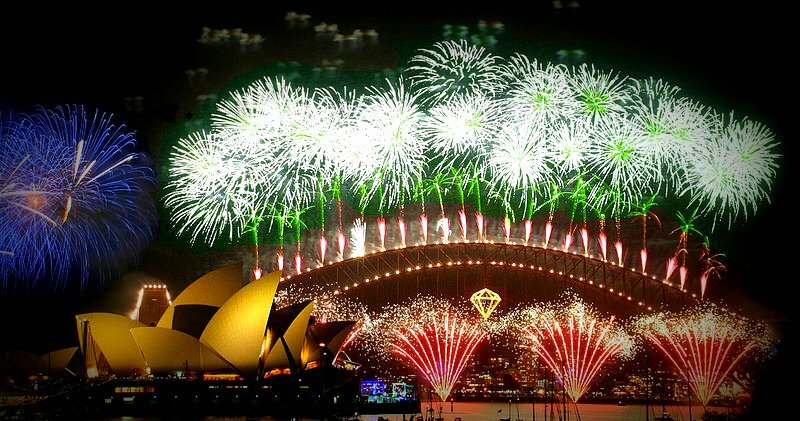 Yesterday–New Year’s Eve, 2014–I spent some time listening to a few broadcasters as the new year passed through their time zones. While I missed hearing Radio New Zealand International (the first to welcome the New Year on the air), I did manage to catch Radio Australia, and the New Year was celebrated with no fanfare; one program merely ran into the next, and there was a brief mention of 2014’s arrival in the headline news. 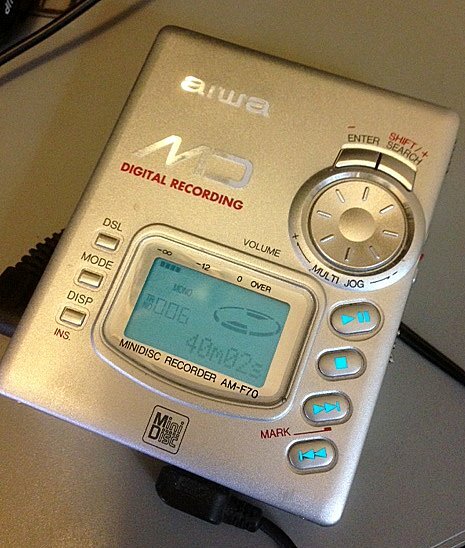 To record the broadcast, I used my trusty Aiwa AM F70 MiniDisk recorder–remember those? Upon arrival at our extended family’s home, they kindly permitted me to erect a long wire antenna in a sloping configuration in their yard. It did a fine job netting the airwaves. The MiniDisk recorder recorded brilliantly, allowing me to monitor levels and even edit afterward. As a result, I spent New Year’s Eve 2000 recording station after station as the earth turned. It was great fun, and meanwhile had very little impact on our family celebrations as I simply left the recorder running for long periods of time. My trusty Aiwa AM F70 MiniDisk recorder. So, for your New Year’s Day listening pleasure: I hope you’ll enjoy, as much as I did, listening to Radio Australia ring in the new millennium yet again. In the news items, you’ll hear that Russian President Boris Yeltson has handed the reigns over to Vladimir Putin, and remarks about the (lack of) problems resulting from the infamous Y2K threat. This entry was posted in News, Shortwave Radio and tagged Radio Australia on December 31, 2018 by Thomas. With great regret we announce the closure of our shortwave transmissions starting today, 31 December 2018. The reasons are economic, organizational and not least also the bad coverage of our signal in Italy lately. However, we plan to return with you as soon as possible. Thank you for the tip, Ralf, although this news sounds ominous. I hope the IBC can resolve their issues and return to the air. This entry was posted in Broadcasters, International Broadcasting, News, Shortwave Radio and tagged IBC, Italian Broadcasting Corporation, Ralf Bender, Shortwave Broadcasters on December 31, 2018 by Thomas. Click here to watch at DailyMotion. Wow! Somehow I missed this episode in the 1980s–I know I would have remembered the ICF-2001! I’ll add this find to our ever growing archive of radios in film. Thanks, Dave! 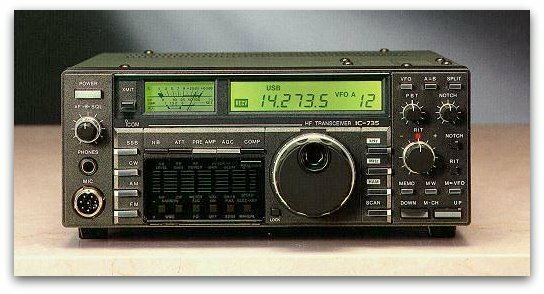 This entry was posted in News, Nostalgia, Shortwave Radio and tagged Dave Zantow (N9EWO), Family Ties, Radios in Movies, Sony ICF-2001 on December 30, 2018 by Thomas.